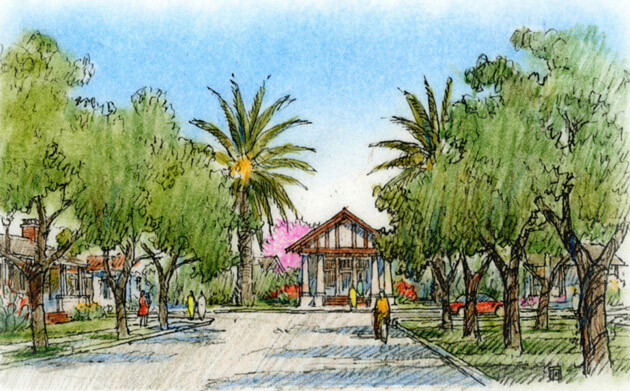 The Southeast Area Master Plan is located on an 850-acre greenfield at the edge of Visalia, an important agricultural center founded in 1852 in the heart of California’s San Joaquin Valley. 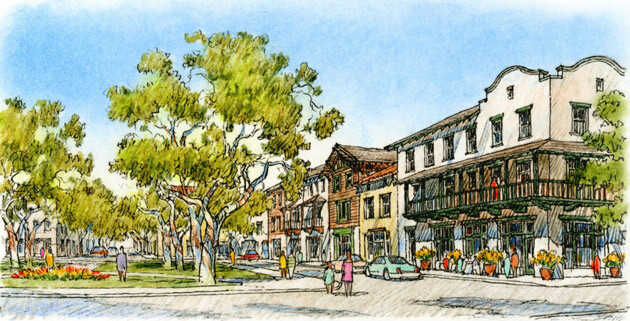 A traditionally planned town with scenic vistas to Sequoia National Park, it experienced slow and steady growth during its first century. 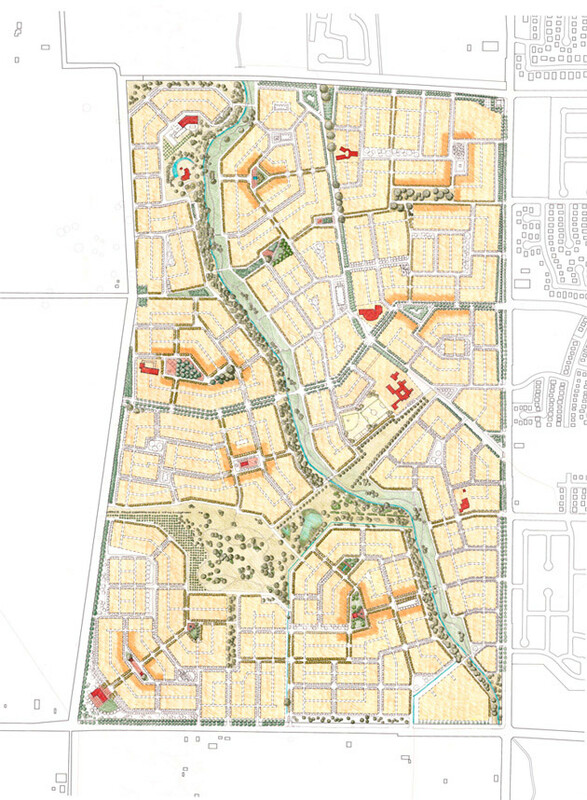 In recent decades, however, Visalia has been marred by accelerated growth that brought a proliferation of sprawling, low-density subdivisions. The Moule & Polyzoides’s master plan integrates carefully devised strategies that counter sprawl and establish a mix of uses. It also provides diverse housing options, architectural types and styles based on the rich local vocabulary. 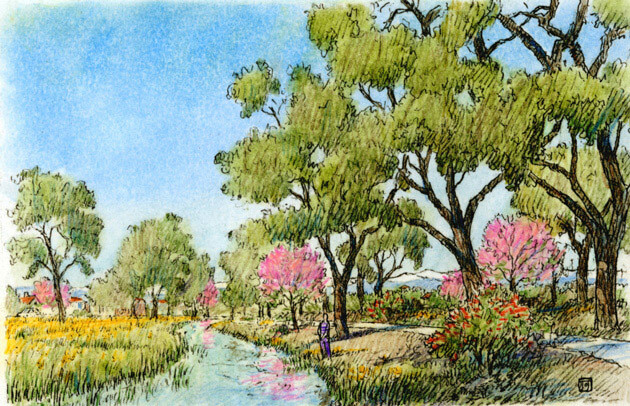 Varying development intensities on an interconnected road network were established, along with sustainable water strategies, a public conservation area that protects large stands of historic oak trees and a generous greenway that runs along a creek traversing the site. The plan’s rich fabric, intermittent pockets of higher density and conserved open space help mitigate the impact of the less sustainable developments of recent years.